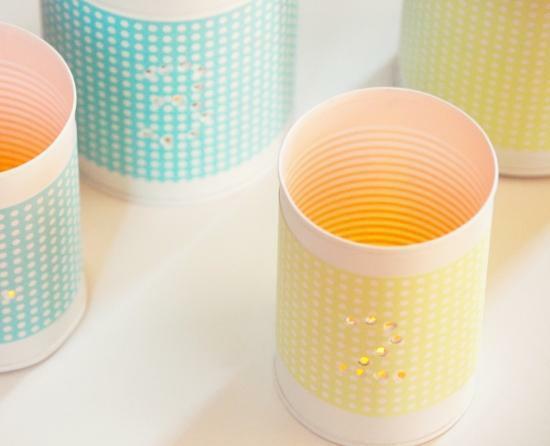 I think these simple DIY punched tin votive holders on Project Wedding are too cute for words. They appear simple enough for even the most novice of crafters to give a go and, although they’re shown here as table numbers, I think they could easily be reimagined for any event. I have a couple of parties coming up in December and I’m tempted to rework these as great holiday decor. By switching up the paper and paint colors these would be a perfect budget-friendly project for virtually any occasion.